Both of these TVs are really good so is the Series-6 worth the extra cost? 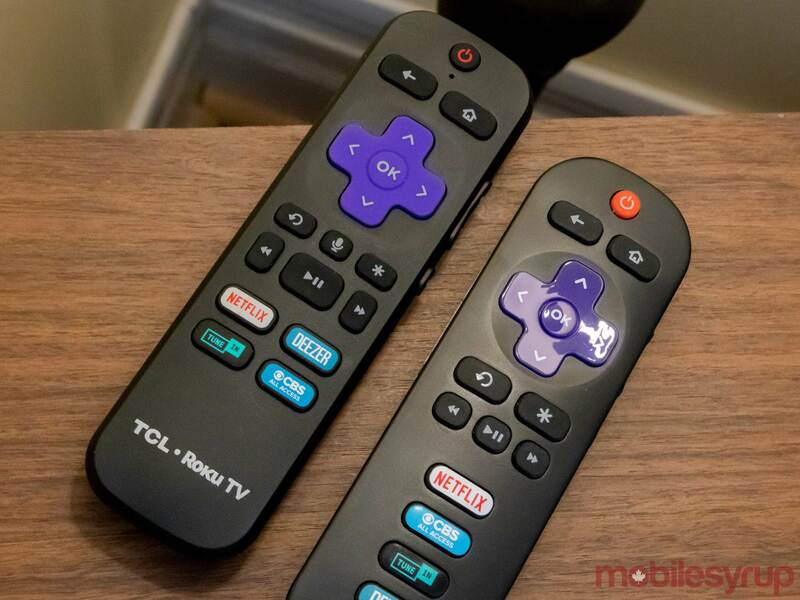 TCL’s Canadian TV lineup aims to bring a high-end television viewing experience to more people with its reasonably priced Series-4 and Series-6 sets. 4K is becoming mainstream as more services start to support the ultra high-definition standard and UHD TVs drop in price across the board. The TCL Series-4 and Series-6 represent this change with their sensible prices, high-quality builds and display quality. I’ve been testing a 65-inch Series-6 and a 55-inch Series-4 since the beginning of December to see what these TVs are all about, and if they deliver on the promise that a great television set doesn’t have to cost thousands of dollars. Both televisions are LCD sets, but the Series-6 has additional features like Dolby Vision and HDR10 to enhance its picture quality. That said, I would argue that the Series-4 is still an outstanding TV since it features HDR10 and a low price tag, even if it lacks Dolby Vision. Overall, the set I’d recommend to you depends on what you value from your TV experience. If you want a good TV at a great price, then the Series-4 is what you want, but if you want deep blacks, Dolby Vision and impressive looking hardware, the Series-6 is better for you. Before I get into the specifics of screen quality, I want to talk about what the sets have in common: Roku OS. 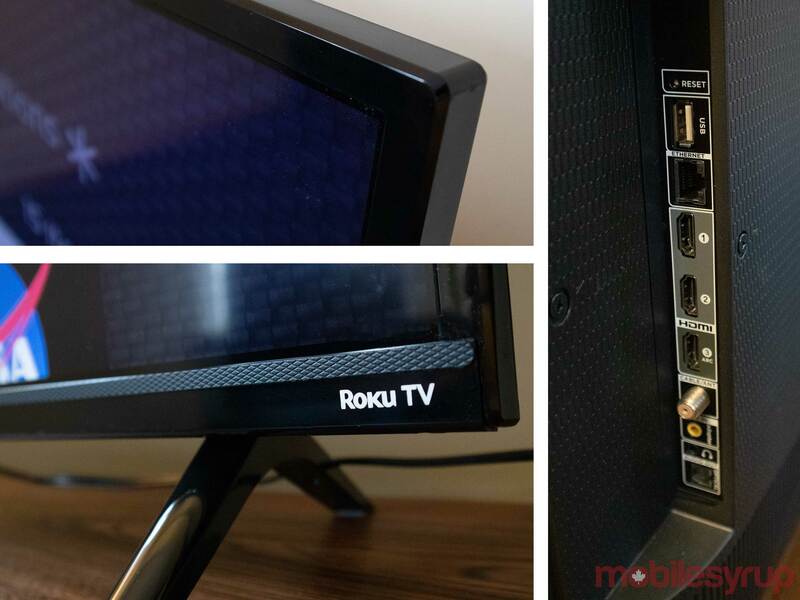 Roku OS is my main pain point with both TVs. In some aspects, it shines, but in others, it’s lacking. The operating system is incredibly easy to use, and will be familiar to anyone who has used a Roku device before. 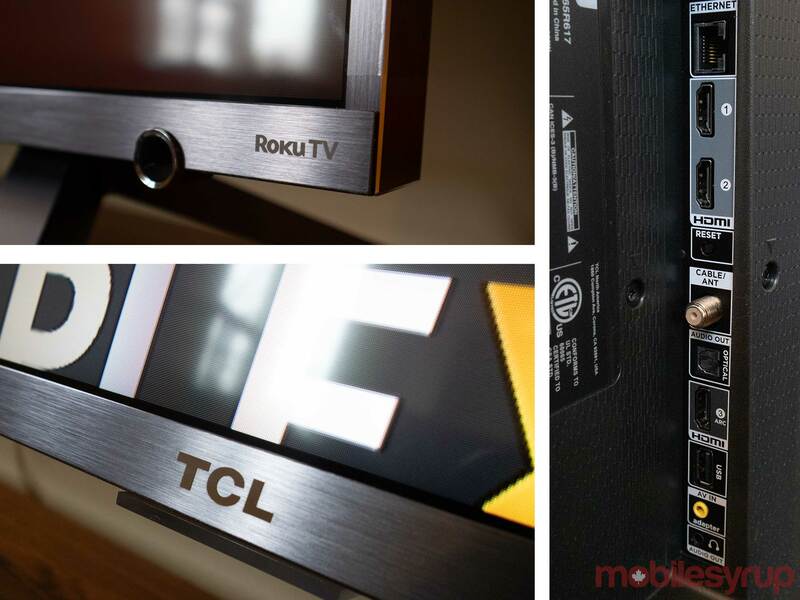 Since TCL TVs are Roku devices, users can download and use the Roku app on iOS or Android. The app has a ton of useful features. It can act as a virtual remote for users, a location to search for new Channels and a conduit for sharing pictures or home movies to the television. You can even plug headphones into your phone and listen to the TV’s audio. 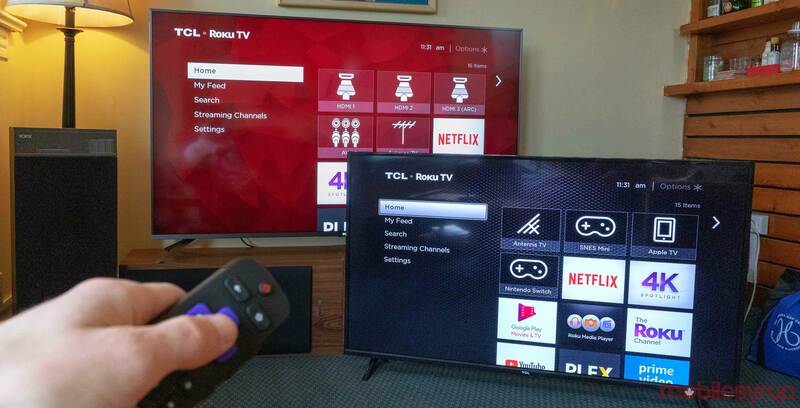 In terms of base operating system features, Roku OS has a easy to use input selector with a few customizations. Instead of an input or source button on the remote, Roku places the inputs on the Roku OS home screen. This makes them act more consistent with the rest of the apps on the platform. As a bonus, you can change the name and icon that represents that input, so people that are unfamiliar with your setup can navigate it. Roku calls apps like Netflix and YouTube ‘Channels,’ but they’re almost exactly the same as apps you find on any other Smart TV. 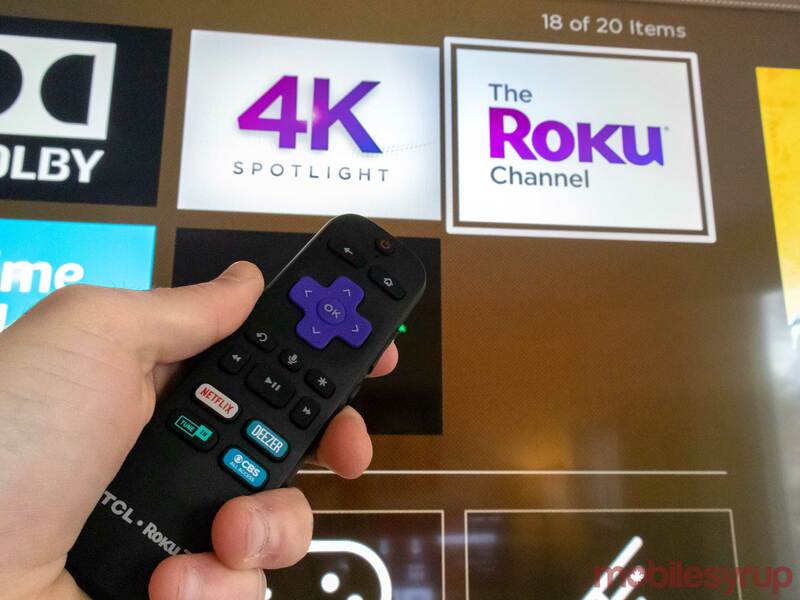 There are all the regular Channels you’d expect like Netflix, YouTube, Amazon Prime Video, Spotify, Plex and the Roku Channel, Roku’s home for most of the free content on the system. There are a lot of other Channels to search through, but many of them seem niche and weren’t relevant to my interests. 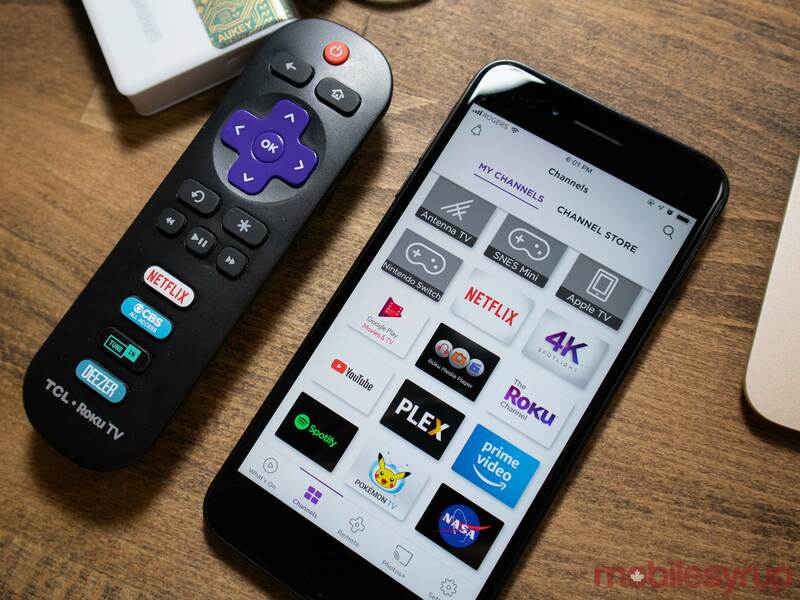 Notable Canadian apps like the CBC’s Gem and Crave are not on Roku OS. Roku has many Channel examples on its website. The biggest issue I have with Channels is that they output at sub-4K resolutions. 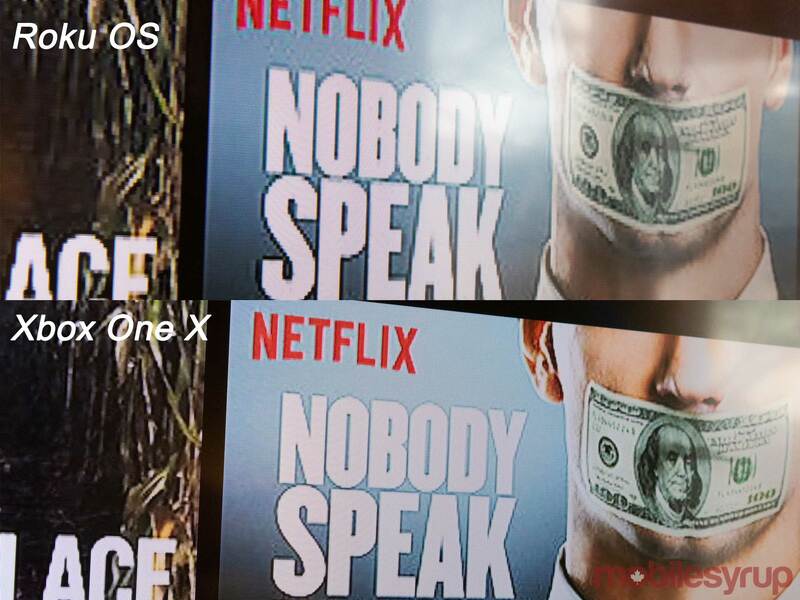 I can’t find any confirmation of this online, but opening the Netflix app on Roku OS and then switching to Netflix on Xbox One X reveals that Roku’s Netflix app outputs at a lower resolution. Both versions of the app appear to play the same 4K video content, but the menus just look low res or improperly vectored on Roku OS. When I reached out to Roku about this issue they seemed surprised, and said someone would look into it for me. This post will be updated with a response if I’m given one. While this isn’t a huge issue, it’s annoying to see pixelated words and icons when I’m browsing the menus on these 4K televisions. Besides the home screen, there is ‘My Feed,’ which is useless if you don’t have many apps it can draw from. There is a search function that works well, and it knows what’s inside of Netflix and the Google Play Movies and TV app. The Series-6 comes with a Roku voice remote so you can even use this feature with your voice. The Series-4 remote doesn’t have this advantage. Instead, you must use the Roku app or buy and pair a better remote. 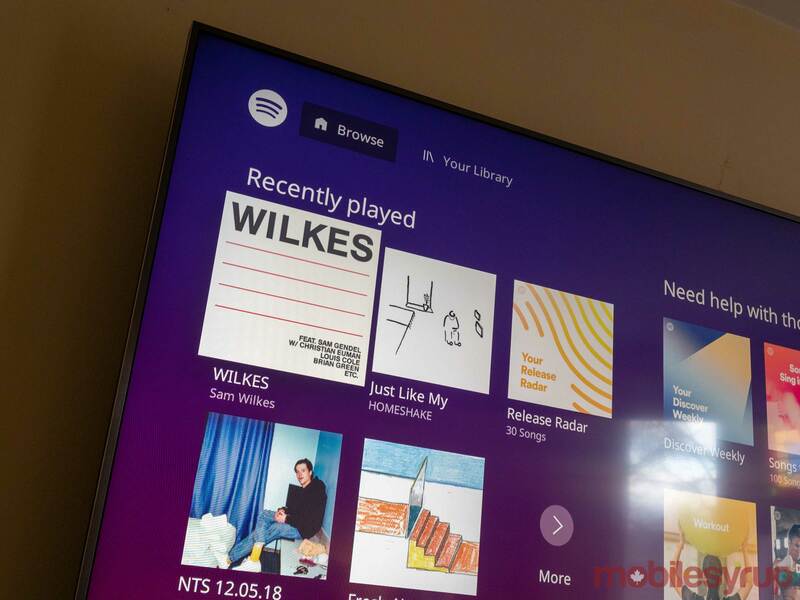 U.S. Roku users can control their TVs with Google Assistant voice controls, but the feature hasn’t made its way to Roku OS in Canada yet. Then there’s the settings menu. There’s basic stuff like connecting to the internet, a few picture settings, the input menu, sound settings, privacy, system settings and parental controls. Each of those works as expected, except for picture settings. To access the real picture settings, hit the ‘Options’ button (It’s the one with an asterisk * on it.) on the remote while content is playing. The televisions even come installed with a built-in TV antenna. I wasn’t able to tune into any channels in my apartment, but I live in a difficult area for over-the-air channels. If you do get the antenna working you can connect a USB drive to the device and record up to 90 minutes of live TV. My favourite part of the Roku OS is a little notification that pops up for a second to let you know when you’re watching content in HDR. It’s really handy and I wish Roku would add another one to let you know when you’re streaming in 4K. It would really help take the guesswork out of “is the upscaled 1080P or 4K” question that I ask myself all the time. Picture quality is pretty great on both TVs, but the Series-6 comes out on top here. The 65-inch model has 120 ‘Contrast Control Zones,’ while the 55 has 96. The zones are essentially an array of backlights that can dim and brighten as needed. Overall, this makes for a very crisp picture with almost no perceptible backlight bleed. The Series-4, on the other hand, is still a fantastic TV with the same colour gamut as the Series-6. The most significant difference is that it uses LED edge lighting instead of Contrast Control Zones (array backlighting). That said, backlight bleed isn’t very noticeable when you’re watching 16:9 programming. 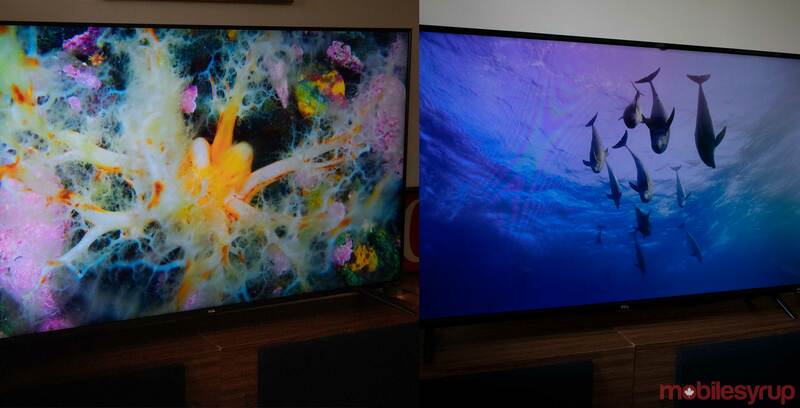 TCL’s Series-6 TV is on the left and the Series-4 is on the right. It’s most noticeable when you’re watching movies in a letterboxed widescreen, such as 1.85:1. To test TVs, I put them through what I call “the Bright test.” For the Bright test, I watch the Netflix movie Bright because it has a lot of dark scenes with bright points of light. Therefore, it’s a good stress test on a television’s backlight. The movie is also in 4K HDR so it’s an optimal movie, in my opinion, to test a TV with. The Series-4 performed decently for most of the test, but there was definitely light bleed along the bottom, and the screen can’t really show scenes with deep blacks since the backlights all have to be on all the time. To remedy this, set the TV to Dark and Dark HDR, although that doesn’t work incredibly well in bright rooms. The Series-6, on the other hand, did really well in the Bright test. It basically featured no light bleed from anywhere and it is able to produce very deep blacks while maintaining a sharp contrast. This isn’t surprising since the Series-6 supports Dolby Vision and HDR 10, while the Series-4 only does HDR 10. 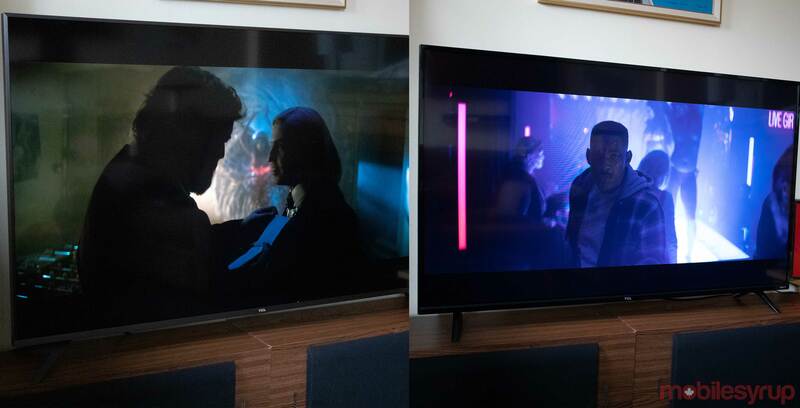 Overall, though both of these TVs performed better in my opinion than my older Sony X700D, which has much worse light bleed issues than even the Series-4. The Series-4 performs very well in most scenarios, and with movies less challenging than Bright, especially when ‘Dynamic Contrast’ is set to low. The only other viewing tip I’d recommend is to constantly be adjusting the TV for the room it’s in. If it’s a well-lit room set the television to ‘Bright,’ if it’s dark, set it to ‘Dark,’ it can make a subtle, yet positive difference in your viewing experience. The sound quality is decent on both TVs. The Series-6 is a bit better, but neither are as full as something like a good sound bar or surround sound will give you. Both are still loud though and there are different audio modes to select depending on what you’re watching and when. There’s a normal mode for people that don’t want to change it that often, and then other modes like ‘speech,’ ‘cinema’ and more. For both of these TVs, the sound isn’t something to worry about if you just want to be able to hear your content. If you’re looking for a more cinema-like experience, a soundbar or surround sound system are necessary. Build quality is another point that separates these two TVs. The Series-4 is made out of plastic, while the Series-6 has an attractive brushed metal design. That’s not to say that the Series-4 has bad looking hardware — it looks fine to me. It has a simple glossy black design that isn’t incredibly eye-catching but still looks good. It’s an unobtrusive design with slim bezels, and it will fit into almost any room’s design since it just looks like a TV. The Series-6, on the hand, features a really nice aesthetic. It has a dark silver brushed metal design that runs around the bezels. The TV even shines a bit in the right light since its edges are slightly chamfered. This model also has really tiny bezels. So after having used both TVs I’d say that the Series-6 looks really nice and the Series-4 isn’t bad at all either, it’s just not as premium. Overall, after using and more or less comparing these two televisions over the last little while, I’d have to say that they’re both really good.. The Series-6 is a really great TV and is definitely worth its $1,249 CAD price tag if I’m being fair. 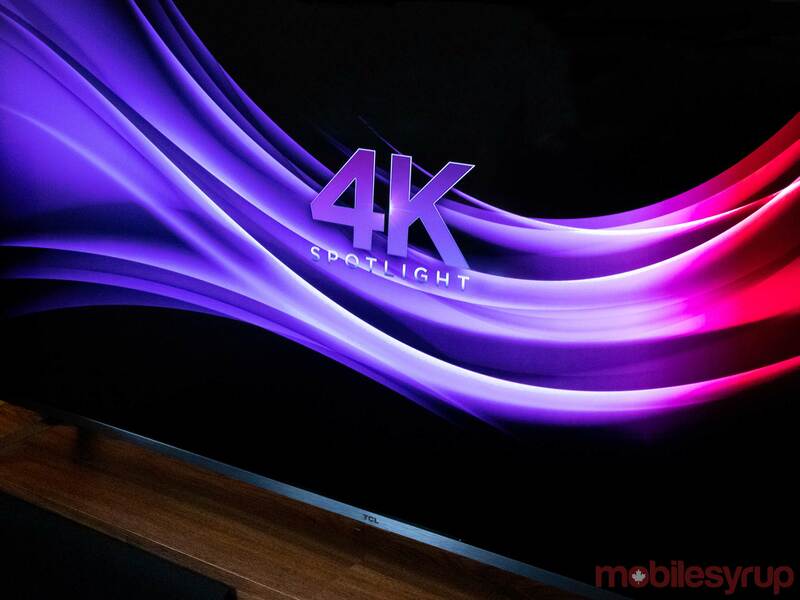 The Series-4 is almost as good and it costs even less than half of the premium model, making it a really good buy for people thinking about taking their first step into the world of 4K. The 55-inch Series-4 currently has a suggested price of $549 CAD which is a pretty incredible deal, but since it’s been out, I’ve seen it drop as low as $450 which is a phenomenal price for this TV. While it may not have perfect black levels or the widest colour gamut it still has a great 4K display, a solid design, and decent sound quality, which for most people will be more than enough for what they need. IIf you’re a little more involved with your media watching experiences and you often find yourself tweaking picture settings to get the best picture possible then, I’d recommend the Series-6, but for most people, the Series-4 is the TV to get. "Both of the TVs are LCD sets, but the Series-6 has quite a few additional technologies to enhance its picture quality. Although, I would argue that the Series-4 is still an outstanding set, with an even better price tag."